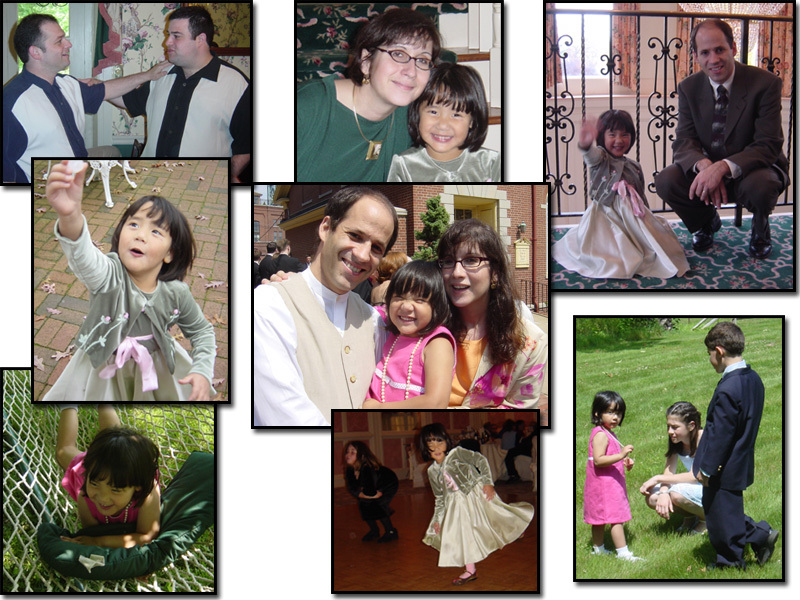 Looking back at these stories of Dana over the last three years, I am reminded of how far she (and we) have come. 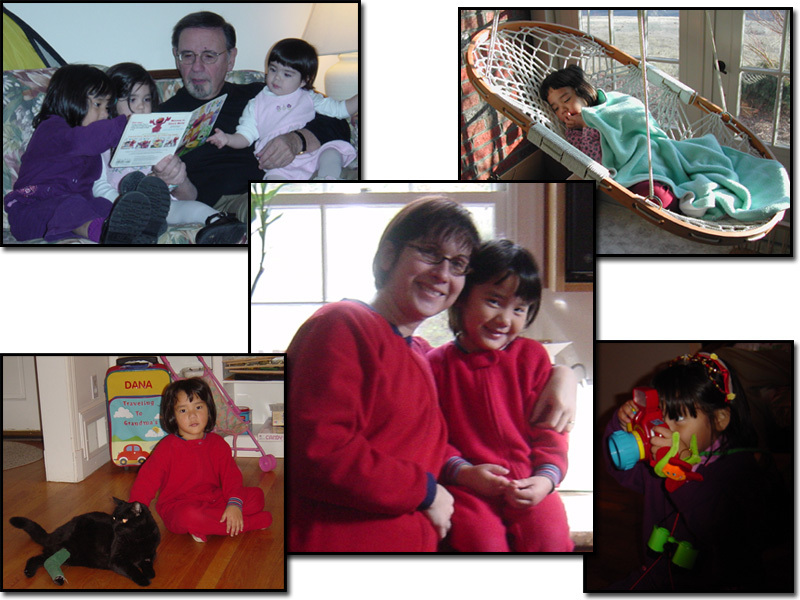 Dana will be turning four in February, and she has truly grown into a little big girl. She has an independent spirit to rival anyone's, and is sweet and caring to match. We've had a wonderful, busy and fulfilling last 6 months. As usual, we've done plenty of traveling, work, vacationing, and visiting. Dana is really getting to know her cousins Chloe and Phoebe (top-left), but is happy to be back home now after nearly two weeks of traveling. We went on a wonderful weekend camping trip in the Fall. 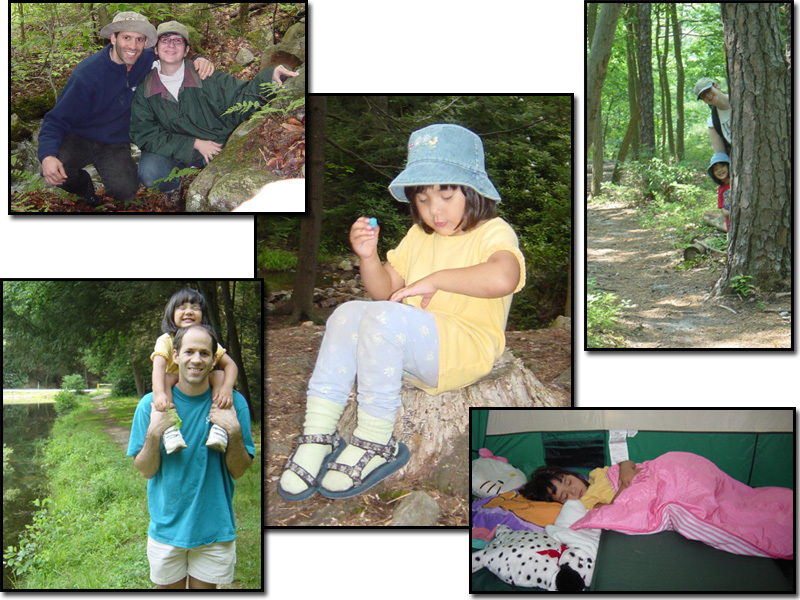 Dana's favorite part was probably sleeping in the tent - where she curled up by our feet. In fact, she loves the tent so much that when she got a "bed tent" for Channukah this year, she did a little jig with excitement. 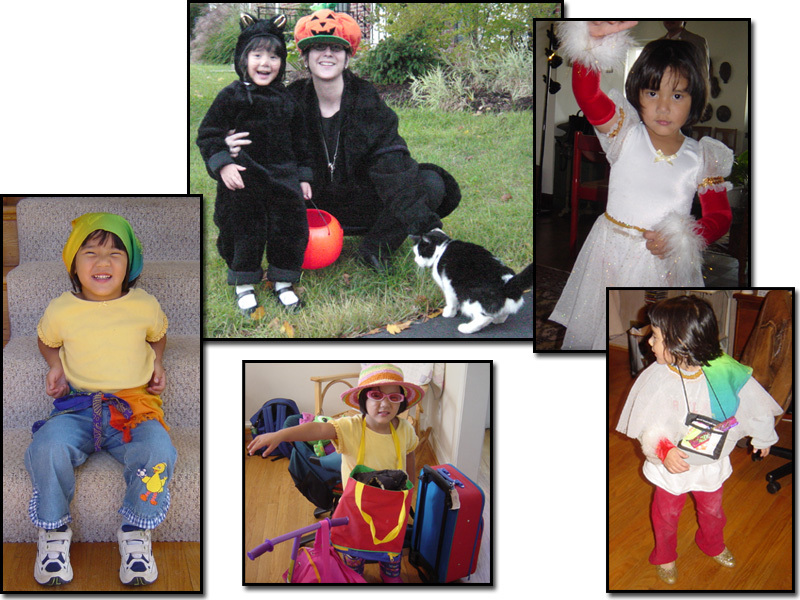 She has since slept every night at home in it - mostly with Pete the cat! We've had lots of time for outdoor activities. We went up to Ben's family's house in the Berkshires three times this year which was a real treat - and where she got her first pony ride at a country fair and feed Jo Yohay's bunnies. We went on the "Bike DC" trip with thousands of other cyclists with some of our colleague's and Ben's parents (although Dana was a little bored lying with grandpa while waiting for a flat to be fixed). 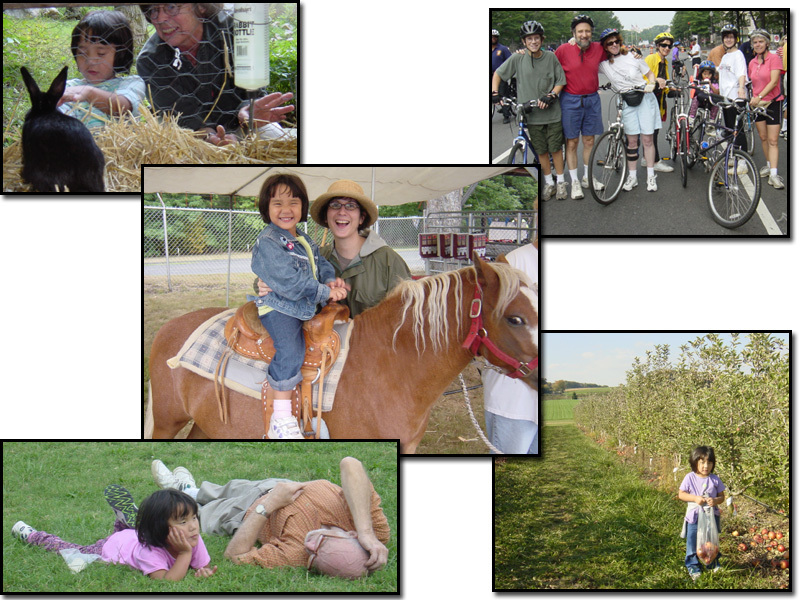 We also went apple picking which resulted in many apple pies - much to our lab's delight. 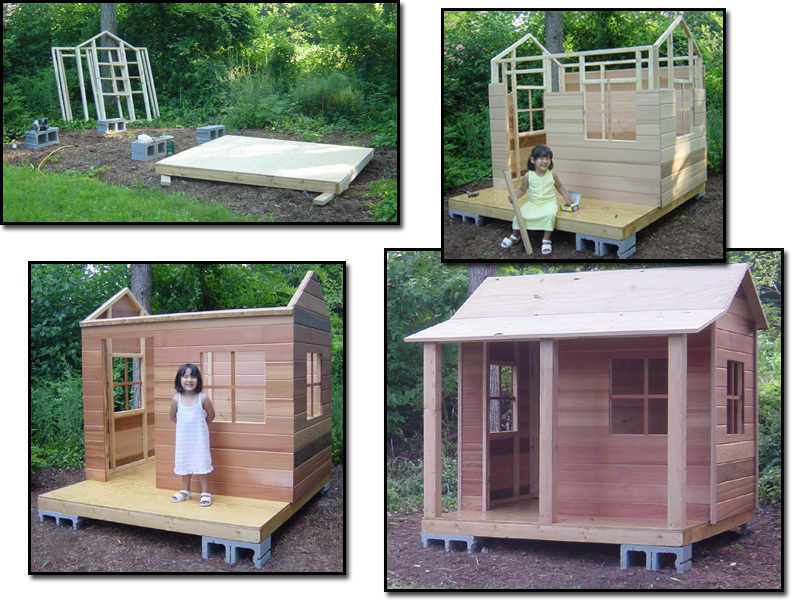 Ben's summer project at home was to build Dana a play house in our back yard. Dana was an eager helper, and now is a pro when it comes to handing dad tools, and all around helping (although Ben has learned just how much extra time to plan on when Dana is around to "help"). 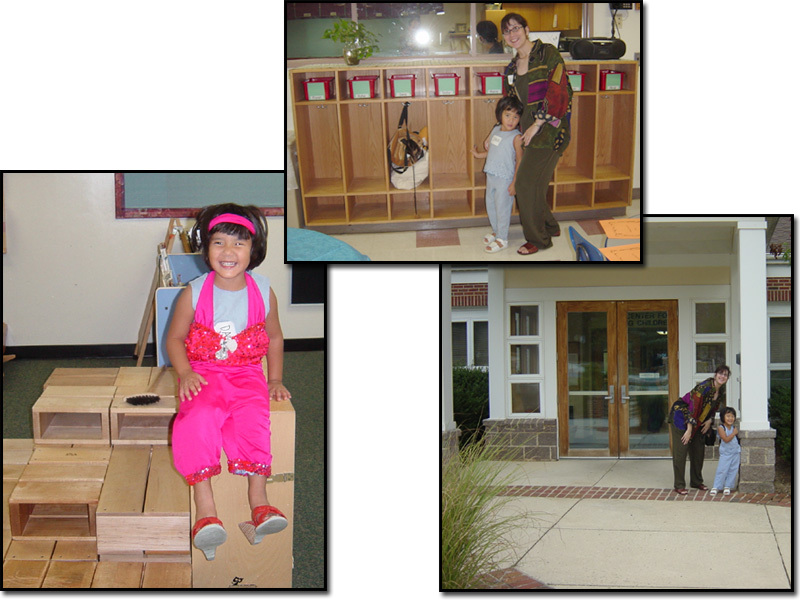 We've since moved Dana's play kitchen into the club house, and now it is the place to go when you're hungry! This was also the year for weddings - we went to three of them: cousins Chris & Emma, Stacy & Jim, and friends Teri & Chris. One funny surprise was when cousins Gary & Chris showed up for breakfast after Chris' wedding wearing the same shirt! 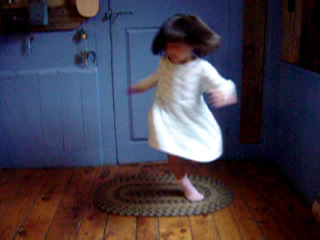 Dana was seriously into the dance floor, and weddings are now part of her repertoire. In fact tonight, we dressed up "fancy" for a wedding and danced around the living room. Dressing up is definitely big, and the clothes in her special box are usually scattered throughout the house. Packing bags and going on trips is also a major theme (no surprise there), and her "travel sunglasses" continue to be a must-have item. She dressed up as a cat for the third year running this Halloween, and you can see her here with Allison & Shana, part of her inspiration. While Dana has been keeping us busy, work has too. Allison and I have been working on a particularly exciting project at UMD this year. We started building the "International Children's Digital Library" - a place where children can find and read books from around the world online for free. The project has just started, and we will be working on it for five years - but we have a prototype up and running at www.icdlbooks.org. 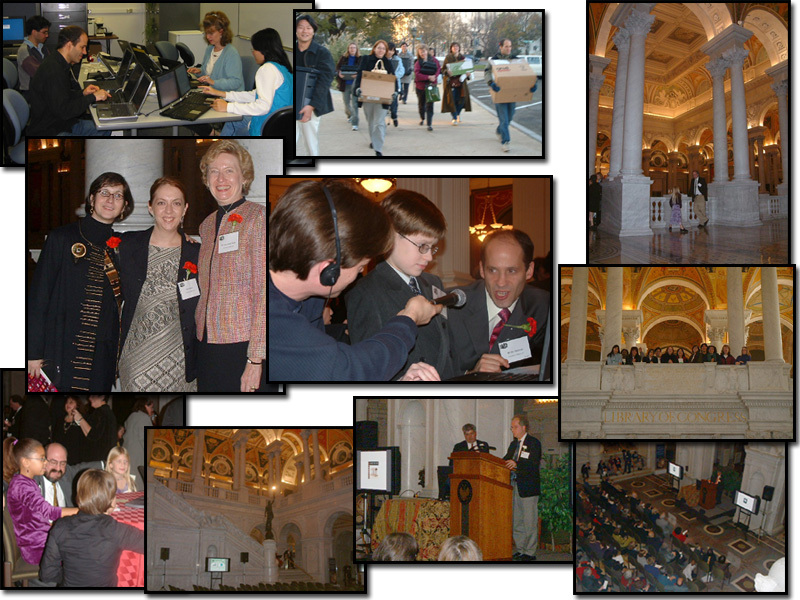 In November, we had an incredible project launch party at the Library of Congress (one of our partners). We had over 200 people attend in the library's "Great Hall" and it was an event of a lifetime. We even managed to get some pretty good press (see the Washington Post and more.) That dominated our entire Fall, and we are just now beginning to feel a bit recovered. The library is still just forming, but we are very excited about its possibilities and our plans for it. One of the things we miss the most about living in Maryland is the lack of snow. But in early December, we actually got some good snow (top right two pictures) and got warmed up for our holiday trip to the Berkshires where there was over two feet of it! 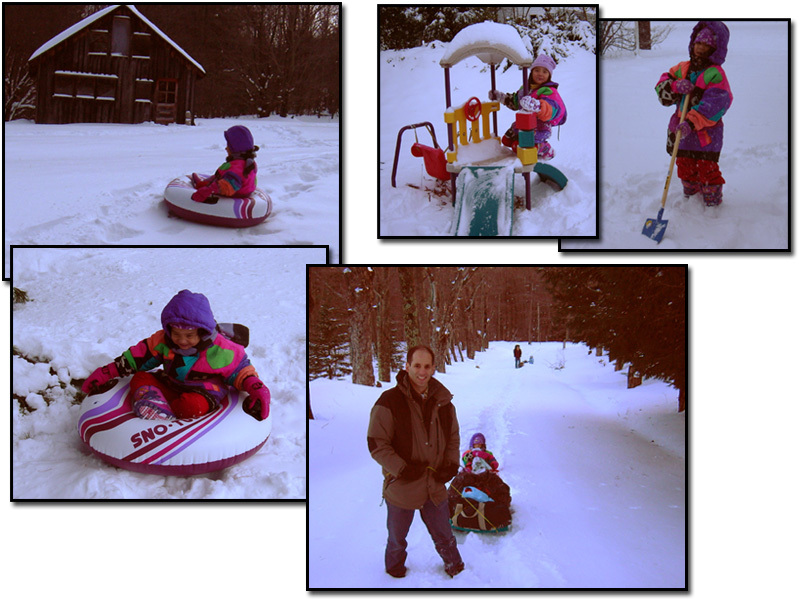 We had a winter wonderland - and even enjoyed pulling Dana and luggage a mile to the house! in Windsor, MA. Voice by Grandma Betty.